He also says I need to put on all the armor of God so I can stand firm when the enemy sends his attacks my way. This armor will help me keep from walking in fear and allow me to become more confident in walking in faith. For several weeks, I struggled with how to present this series. I wrote at least six different articles, yet none of them seem to have any umph. I turned something in even though it didn’t feel right. After asking Alynda a series of questions, time in prayer, and more discussion, a decision was made on how to proceed in the direction God appeared to be leading. My autistic son had a major melt down like he’s not had in nearly a year. Our exchange student, who is also the spectrum, was getting angry over homework. My daughter-in-law texted me to send encouragement to my son, only to find out a little while later he had been electrocuted but was okay. Needless to say, it was an eventful evening. I became fearful, frustrated, and frazzled. In a matter of a few hours, the enemy had begun an all-out assault on me, using my kids. I cried at the thought of what could have been. Yet, I praised God for His miraculous faithfulness. I prayed thanking Him for being there for my son. I worshiped Him with tears of joy, as I listened to songs that minister to my heart. If I didn’t have God’s armor on, I know I would have been an emotional wreck. Screaming at the boys and fussing at God for my son almost dying. Many Christians are clueless to the warfare that happens around them. My hope is to help you understand that spiritual warfare is real but God’s given us tools to combat the enemy. Let me give a disclaimer. I am not saying everything that happens to a Christian is due to satanic influence or oppression. I do not think a demon is behind every situation. Christians sin and therefore receive consequence for sin. I am saying the enemy will try to get us off track by causing a battle with another person. The enemy uses this tactic to derail and keep us from accomplishing God’s plan. Yet if we have on God’s armor, we can be assured the enemy will not overtake us. There are six elements to the armor. I will explain how Roman soldiers used each piece then how Christians are to use them. First is the belt of truth. We must know God’s word, His instructions, promises, and warnings if we want to avoid living in fear of failure. Second is the breastplate of righteousness. If we can begin to comprehend the love God has for us, we won’t have to be fearful of not being loved. Third is the shoes of the gospel of peace. These shoes help us stand firm and not fear rejection. Fourth is the shield of faith. This piece will help us put an end to the fear of change. Fifth is the helmet of salvation. Our minds need to be guarded against the fear of not being good enough. Sixth piece of armor is the sword of the Spirit. Without our swords, we are defenseless and become an easy target for fearfulness, (”What if this? What if that?”) leaving us paralyzed, and no good to God or anyone else. Buckle up and get ready for an action packed adventure as we learn to use the Armor of God to conquer fear. 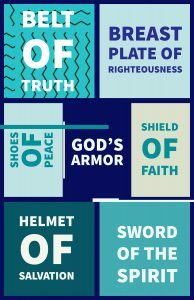 Continue reading about Using God’s Armor to Combat Fear with the Belt of Truth and Breastplate of Righteousness. 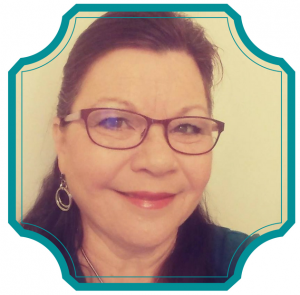 Norma’s also on Twitter , Instagram, Pinterest, and Facebook. Great post, Norma. We all need to have a wartime mindset that we are to be in battle every single day. Norma, great post, especially because it had a real life example. Yes! What you did and thought and how you responded is how we put on God’s armor. We’ve got the tools once we have Jesus. The question is, how will we use the tools we have? Will we remember we have them at all! Praise God! You did! Melinda, thank you for your kind words. I appreciated your feedback. -Blessings. That is one of the most important reminders in the Bible. And when you face an evening when all the children receive attacks, you can trust that these forces of darkness are behind them. Some of God’s great gifts are the armor He gives us to work through the battles. I’m so glad God protected your son in the electrocution situation. My son is an electrician (so is one of my sons-in-law. I sometimes pray protection for them in their work because of the danger. Nancy, thank you for your kind words. It is so easy to get sucked into the situation and not realize it is of the enemy. I appreciate your. Comments and your prayers. Stephen, thank you for your comment. Yes, sometimes God throws the gauntlet of faith on a believer’s behalf. Which is amazing because it shows God knows we will have the faith to endure to test. I am glad, however, we have His armor to use to help us stand firm. I appreciate your input. Thank you. I’m glad for this post because the spiritual battle is much more significant than any in-person, tangible one. In fact, spiritual battles often come in the physical form. I recall the story of Job and how Satan and God debated about Job’s faithfulness which resulted in many physical and spiritual blows. But I think Job didn’t have the benefit of the nicely packaged armor of God like we do today. What a great resource we have. Thank you, Scott for your comment. I pray this series will continue to encourage you. For me, this post serves as a great reminder to be much more aware of the real warfare at play in our lives everyday. It is real, and we must put on that armor every day. God bless Norma!! Thank you, Pearl. You are a blessing. I appreciate your kind words. Norma, this is awesome! Your example is inspiring. May God continue to help you wear and wield the armor, encourage others, and may He protect you and your family in the process. You are such an encouragement! 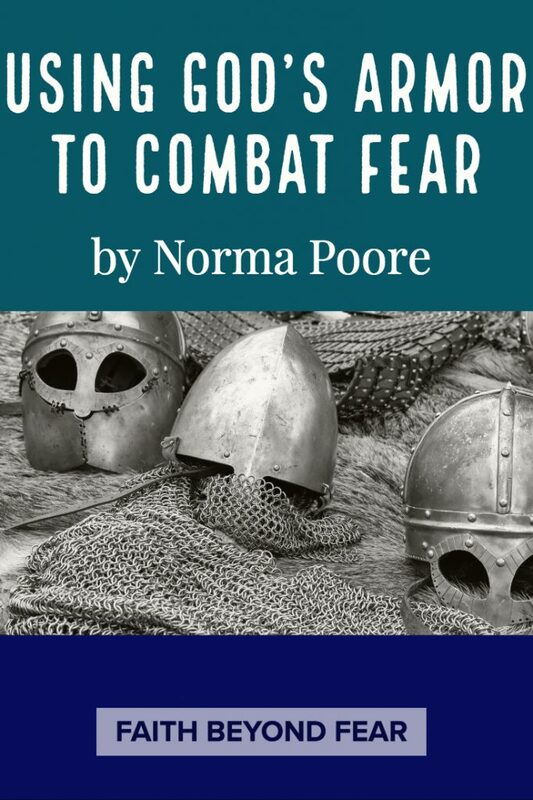 Norma, thank you for your vulnerability and practical insight for the armor of God. I know what it’s like to have those melt downs. 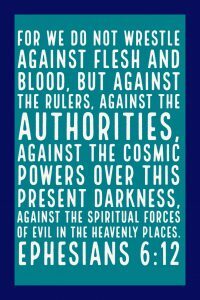 As a pastor’s wife, women’s ministry leader, and so on, it took me years to realize the spiritual warfare right under my nose. I have to make a conscious decision to put on my armor, and seriously, some days I’m so emotionally exhausted, I don’t even have the energy to put it on, much less, fight the battle. Still, it’s the only way to protect myself from the enemy! Karen, thank you for sharing. Your comment is an encouragement. You’re right, we need make a conscious effort to put the armor on daily, or it’s likely to be a rough day. Thanks again for sharing. Great post Norma. I have always love the symbolism and the imagery of the armor of God. I’m looking foreward to reading the rest of your posts on this topic! Jennifer, thank you for your comment. I pray the posts to come will be encouraging. This is an important subject, Norma. I’m glad you are sharing your insight . Diane, thank you for your encouraging comment. Thank you for the reminder to put on the Armor of God! To know that perfect love casts out fear, we do not have to be in a state of worry or defeat. We can pray in the Spirit on all occasions and claim Romans 8:37…we are more than conquerors through him who loved us! Thank you, Nicci, for your encouraging words. Thanks for sharing about something that is often overlooked, spiritual warfare. It is real and we need to be prepared for it. I will be praying for you and your family as you put on the full armor of God. Thank you Yvonne, for your prayers, we need it. When we walk in obedience, the enemy brings an onslot of fiery missiles. This is amplified when we share with other how to defeat him! The battle is real and is only going to intensify as the end gets closer. I think the armor of God is one of my favorite things to study, because you can never really study it enough. You know what I mean? We need it each and every day, because the struggles are real and there will always be new struggles on the horizon. Heather, thank you for your comments. I love how we can study any part of God’s word over and over yet still learn something now. That’s the Living Word, always something new, always relevant. Thank you Melissa. Your encouragement has spurred me on. My prayer is people will step out of fear into deeper faith, all for God’s glory. A faithful and encouraging witness, through and through. Great job, Norma! Way to step out in faith! Praying God uses this series to encourage and equip many to face the spiritual battles they were uniquely meant to experience, and trust God to carry them through. Thank you, Polly. Miss you, too. Have a blessed day. Great thoughts, Norma. The full armor of God is a great way to pray away fear. I think fear is one of the first and greatest weapons of the enemy. If we’re afraid, we’re ineffective. Thanks for stepping out and risking it to encourage others. Thank you for your kind comments. It is definitely a step of faith and the evil one has not liked it one bit. It’s a blessing to know this encouraged you.